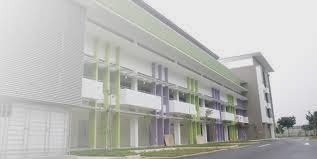 Edgefield Secondary School is located at 36, Punggol Field in Singapore 828814. It is enclosed within the Punggol Region. Punggol, also called Ponggol, is situated at the northeast section of Singapore. Currently, most of the areas in Punggol are underdeveloped but there are plans to transform it into a new town. Nearest MRT is Punggol MRT and the closest bus interchange is Punggol Bus Interchange. Amenities in the area include Rivervale Mall, Compass Point and Punggol Plaza. Some of the schools close by are Compassvale Secondary School, Rivervale Primary School and Punngol Secondary School.